Here are recent monotypes drying. The technique for making these transfer monotypes is very simple and direct. First, ink is rolled out on a glass surface. The dry paper is laid carefully on top. It is important not to touch the paper, otherwise ink will transfer from the glass to the paper. Taking a suitable tool, (the end of a brush, a stick, the end of a pencil) I draw through the back of the paper. Where the paper is forced into contact with the ink, the ink is picked up by the paper. Beautiful, sensitive marks can result. A second layer of colour can be used. These particular monotypes have been made using Charbonnel water based inks on Hahnemuhle paper. 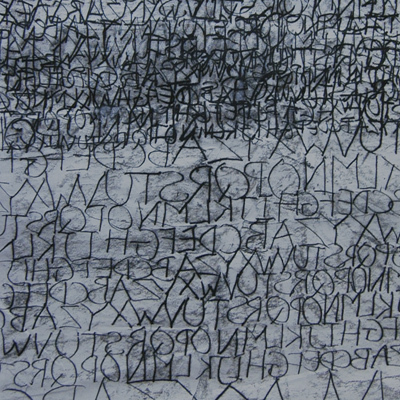 These works are from the series Text. They are transfer monotypes on rice paper using both Akua Color and Charbonnel inks.They are 59cm wide by 1300 High. 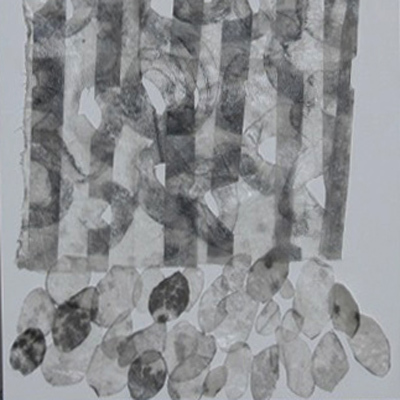 Here are some works constructed using layers of print on fine tissue paper, Gampi and other translucent papers. These works are 49cm wide by 1300 high.They are printed intaglio and relief using polymer plates. Thank you for visiting. Glad you enjoyed it. I enjoy those a lot! Accidentally landed on your website. I like the description to the Dia Beacon on a autumn day. Cheers! Thanks for recommending I look at Moises’ work. It is wonderful. And I do find inspiration in the work of Antoni Tapies – the use of texture and the organic quality of both paintings and prints. You may perhaps be interested in Cafe pieces by Moise Monteferro of NYC, who was experimenting with coffee and other unconventional materials in art-making. 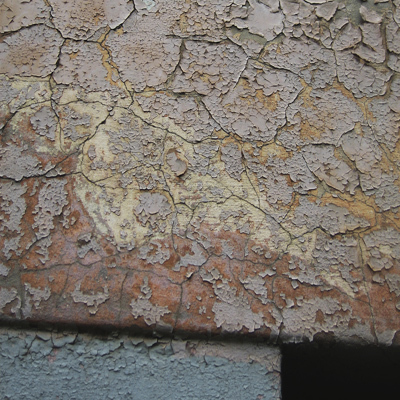 A bit like Antoni Tapies’s arte povera techniques.